It had its launch in the summer of 2012 and it’s a great tablet with no support for GSM voice communication, SMS or MMS. You guessed right – we’re talking about the Google Tablet that comes with a LED-backlit IPS LCD capacitive touchscreen and a couple of another impressive features that you’re most probably taking advantage of right now! 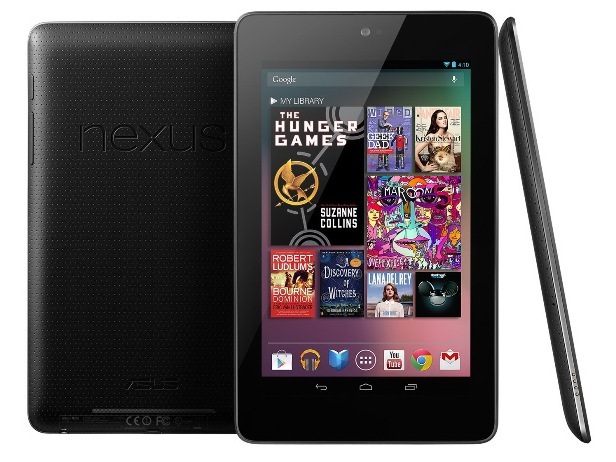 If you’re the user of this device, our article will teach you how to hard reset the Asus Nexus 7. Before we continue giving you the necessary instructions, it is crucial that you understand how restoring the Google Tablet will wipe all the data stored on it. While it is the perfect solution for restoring it to factory settings and fixing many software problems, it also has its negative side. We will be showing you how to avoid losing anything important by making the necessary backup. Using the latest and most powerful Android software, the Google Nexus 7 from Asus is available in two versions: 8 GB and 16 GB. It uses a quad-core 1.2 GHz Cortex-A9 as its CPU and has a Wi-Fi 802.11 hotspot. Also equipped with a Bluetooth v3.0, this tablet is the pure Android experience that lets you download plenty of free apps from Google Play. Apart from that, it comes with a 1.2 MP camera that’s great for taking photos, video-calling and recording videos. Whenever the Asus Nexus 7 is having serious trouble with simple tasks such as opening applications and responding to commands, it is also possible for it to becomes slow and start freezing at times. A good solution is to restore it to factory settings, but as we’ve already discussed, this will erase all of your data. The backup we previously mentioned can be done using the micro SD card you got in store, a computer or other tablet, a cloud or even a smartphone. Everything from contacts to applications and media content to messages is important for you. For this reason, please don’t begin the operating without saving all data! From the Main Menu, go to the Settings folder and scroll down to the Personal section. Choose Backup and Reset from the options and make sure to check the Back up account and Back up my data options, in case you’re using Google to back up your memory. Scroll down to choose the Factory data reset option and wait for the tablet to reboot. Fully charge your tablet before proceeding then switch it off. Simultaneously press the Power button and both Volume key until you see a menu with the word “Start” on top of the screen. Using the Volume keys, select the Recovery Mode option and confirm with the Power button. When you see the Android recovery logo, press and hold the Volume Up and Power keys for a few seconds and release – this will bring up the Recovery Menu. Use the Volume buttons to scroll down to Wipe Data/Factory Reset and confirm your selection with the Power key. Choose Yes – erase all user data, using the Volume keys and press the Power button. The tablet will not reboot and be ready to use in a couple of minutes. At this moment, the Asus Nexus 7 will have been reset to original, having a blank memory, as well as a brand new operating system. All you have to do is restore your data using the backup you made before. Also, use the provided methods at your own risk. We do not bear any responsibilities for data loss or harm the tablet may suffer.